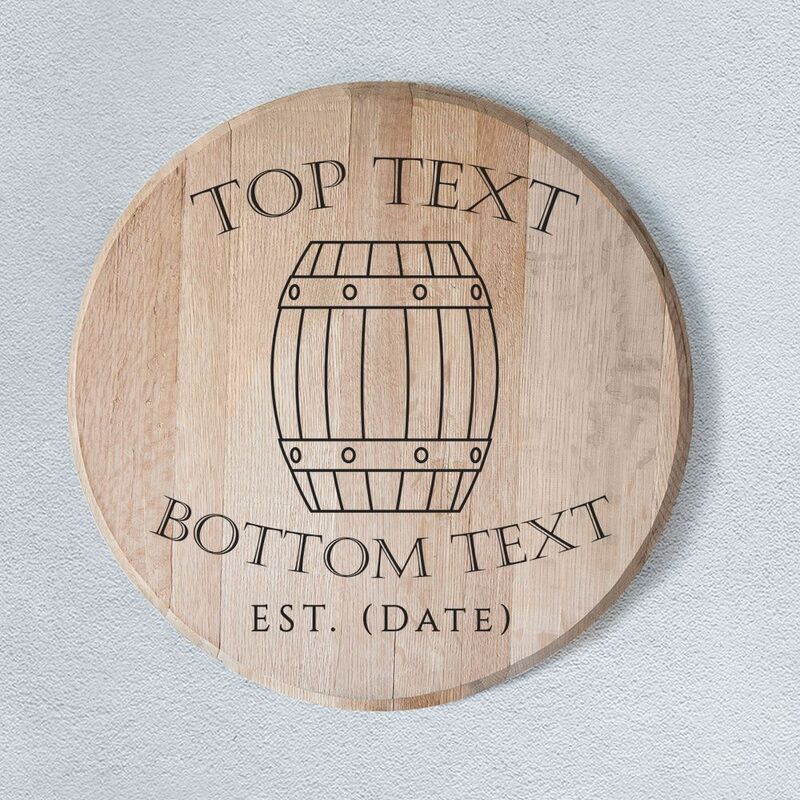 This stunning, limited edition work of art is hand crafted using a genuine reclaimed bourbon oak barrel lid. Each lid is hand picked, planed to remove the excess charring but keeping the sweet smelling essence of bourbon. Ideal as a gift or simply treat yourself. Engraved in our studio, this stylish bespoke wall art can feature your choice of any name making this a truly unique piece. 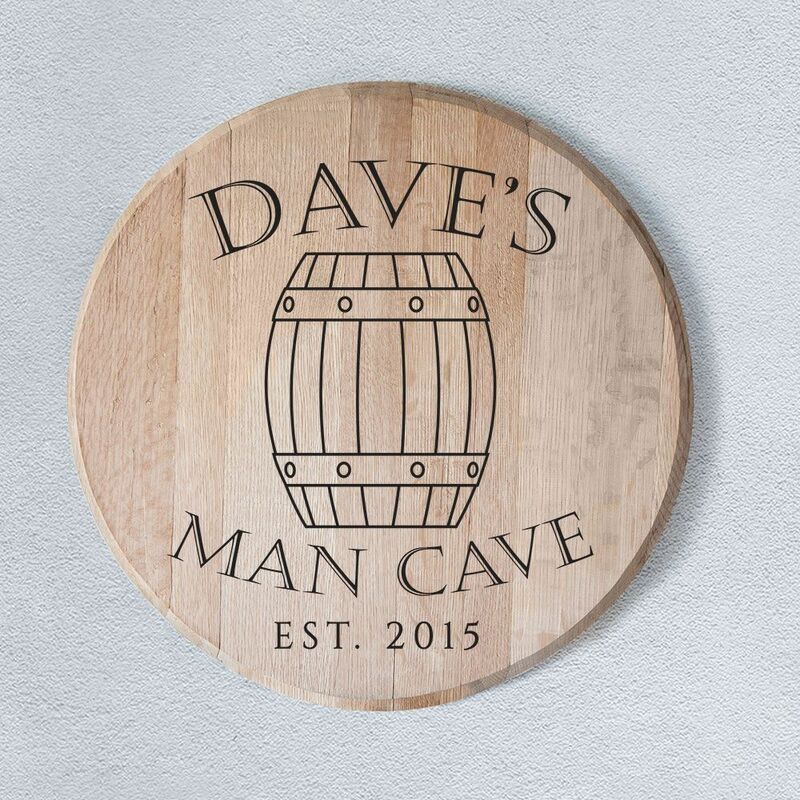 Not only for a man cave, this can be fully personalised to your taste. Simply add the name/text & date you would like into the text boxes on the right hand side before adding to cart. We will then create the design and email a digital image for your approval. Once approved the item will be engraved and despatched. If you have any other design requirements or fonts then please contact us via email or the online chat and we'll be happy to help. Stunning reclaimed bourbon oak lid - no two pieces are ever the same.